In which I tell you what I liked. It’s been a sloppy year. 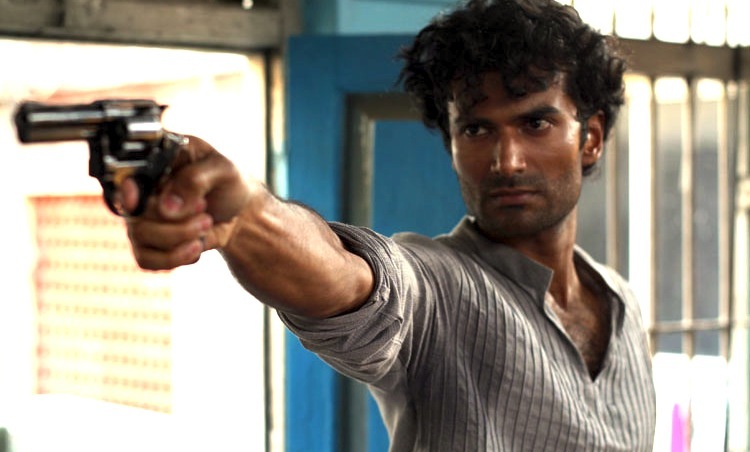 The Hindi cinema of 2011 has been markedly short of ambition. Most of our brightest filmmaking talents were missing in action, and the majority of this year’s debutants were content to steer clear of the unexplored. Well short of plot and pluck, our biggest hits relied on literal hero-worship and formulae, while our indies, at best, were harmless diversions. Here, then, are the exceptions. The films that made up the class of 2011 — presented here in ascending, countdown order — and the valiant also-rans that missed the cut due to flaws too hard to overlook. The Almosts: Delhi Belly gave us uproarious laughs, Vijay Raaz in phenomenal form, and an actual twisty little plot, but I wish it was as true to itself in English as it was in Hindi. Pyaar Ka Punchnama had crackling camaraderie between the leads, a star turn by Divyendu Sharma, but lost all edge when it spent the last half hour crying into its beer. Sahib Biwi Aur Gangster begged for actresses who could even halfway match the terrific leading men. Mujhse Fraandship Karoge impressively avoided mush, but also, sadly, originality. And if only Bbuddah Hoga Tera Baap had something (anything!) more to offer than Bachchan having a blast. #4: Shor In The City: A muddily elegiac ode to Bombay, Raj Nidimoru and Krishna DK gave us disparate stories brought together by the maddest of cities, and shoved enough heart and sweat into that overdone synopsis to deliver a living, breathing film. Featuring a thrillingly unusual ensemble cast and well-etched characters, not just did Shor have 2011’s most rousing climax, but also — in a scene where a barely-literate book pirate discovers his wife went to college, and she almost spoils The Alchemist for him — one of the year’s tenderest, truest moments. #3: The Dirty Picture: All about the girl, this. Milan Luthria’s shamelessly commercial film wades through over-written dialogue and a predictable narrative, yet stays constantly engaging thanks to unflagging pace, a won’t-stop-winking turn by Naseeruddin Shah and, most of all, a heroine you care about. Vidya Balan plays Silk with unapologetic fervor, making her not just an object of titillation but a real, self-aware woman who knows how best to win with the cards in her hand. It’s a strikingly bold, frequently brilliant performance, and the fact that this is a massive hit — in a year of Readys and Singhams — is heartening news for the Hindi film heroine. #2: Rockstar: She’s getting married. ‘I have something to ask you,’ he says. ‘I’ll tell the truth,’ she warns. ‘So go on, who’s scared,’ he nudges. ‘Yes,’ she says. Imtiaz Ali’s intoxicating take on Heer-Ranjha has little to do with rock, but, aided by the director’s incisive dialogue and Irshad Kamil’s devastating lyrics, is a heady romantic brew not for the entirely jaded. Ranbir Kapoor, playing a causeless rebel with his head in self-created clouds, shows why he’s the best leading man in the country today, while AR Rahman drops our jaws yet again. #1: Stanley Ka Dabba: A modest masterpiece is the hardest kind to make, and Amole Gupte’s directorial debut took us back in time just by ringing really, spectacularly true. Romanticising the tiffinbox, this movie about a boy drinking gallons of water and his gluttonous schoolteacher came to us from a knee-high point of view, amplifying the good-versus-evil stakes to those of a spaghetti western. Gupte’s son Partho led a smashing cast of spirited young ‘uns, while the director himself stunned as the mooching muchhad. Made on the smallest of budgets, this movie, shot on what looks like a still camera, proved as natural as the daylight it was filmed in. Magical. ZNMD ? I thought it was right up there ? We read this list 5 times and still we could not spot Bbuddah Hoga Tera Baap there! Hahahahahahahahaha – good for you, Chet!!! ‘Yeh Saali Zindagi’ not even in ‘The Almosts’ list? Amar said it. Mr Sen what do you have to say in your defense about omitting Yeh Saali Zindagi from the list of best films of the year? And shouldn’t No One Killed Jessica be there in “The Almosts” list? WTF dude! you cant even approve one simple sarcastic comment? Almost their ????? I doubt 2011 had any films which manage to come even closer. But what 2011 showed us that we have great bunch of actors all the films mentioned above by you have actors performance saving them. Dirty Picture – Vidya Balan. Tanu Weds Manu – Deepak Dobriyal to mention few. Well wont agree with Stanley Ka Dabba would have been much better if he would have made a short film out of it. Delhi Belly lot of flaws but who care if it keeps you engaged and makes you laugh so this one is for the writer.